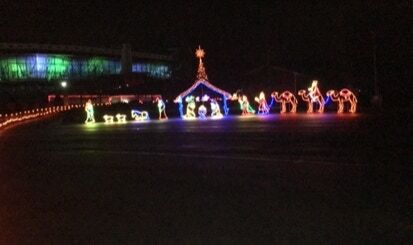 5) cruising the Bristol Motor Speedway in Lights. 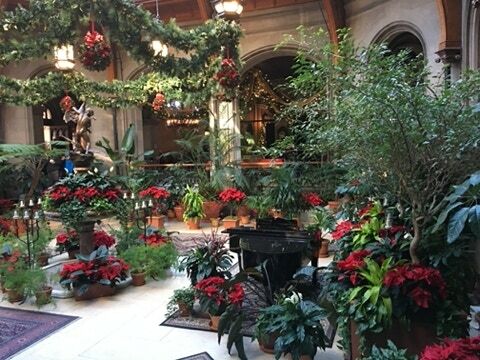 ﻿The ﻿Winter ﻿Garden ﻿of ﻿the ﻿Biltmore ﻿House ﻿& ﻿Gardens ﻿in ﻿Asheville, ﻿NC ﻿featured ﻿the ﻿Giles ﻿County ﻿Community ﻿Chorus ﻿on ﻿New ﻿Year’s ﻿Day, ﻿2019. 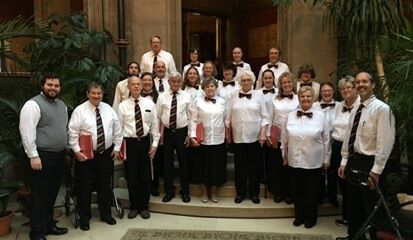 ﻿Twenty-three ﻿GCCC ﻿members ﻿performed ﻿30 ﻿minutes ﻿of ﻿music ﻿each ﻿hour, ﻿alternating ﻿with ﻿other ﻿musicians ﻿from ﻿5:30 ﻿pm-9:00 ﻿pm. 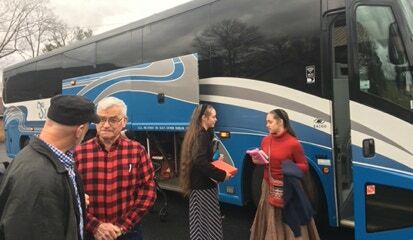 ﻿ ﻿We ﻿chartered ﻿a ﻿bus ﻿for ﻿singers ﻿and ﻿family ﻿members. 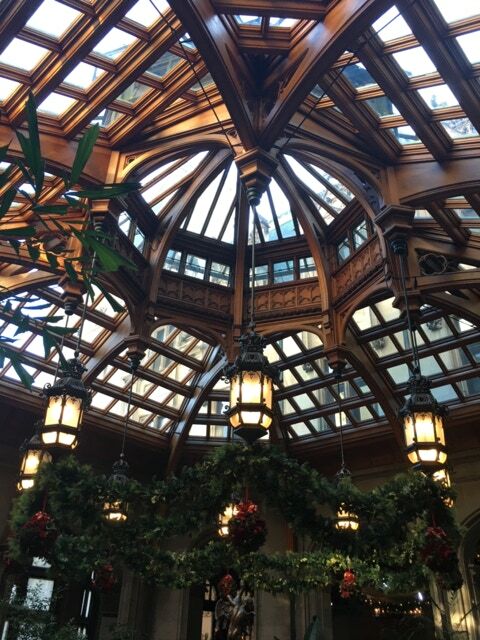 ﻿Many ﻿of ﻿our ﻿members ﻿had ﻿never ﻿seen ﻿The ﻿Biltmore ﻿before, ﻿so ﻿it ﻿was ﻿especially ﻿fun ﻿to ﻿watch ﻿their ﻿faces ﻿light ﻿up ﻿as ﻿we ﻿toured ﻿the ﻿grounds ﻿the ﻿day ﻿after ﻿the ﻿performance. ﻿Entrance ﻿tickets ﻿sold ﻿out ﻿during ﻿our ﻿performance ﻿times ﻿and ﻿crowds ﻿were ﻿generous ﻿with ﻿their ﻿applause. 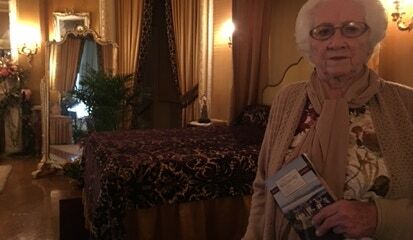 ﻿Some ﻿even ﻿lingered ﻿to ﻿hear ﻿our ﻿whole ﻿set! ﻿Once ﻿a ﻿group ﻿appears ﻿the ﻿first ﻿time, ﻿subsequent ﻿invitations ﻿are ﻿based ﻿on ﻿your ﻿performance, ﻿so ﻿watch ﻿this ﻿space ﻿for ﻿plans ﻿to ﻿return. 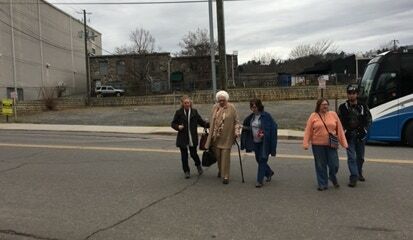 ﻿The ﻿Giles ﻿County ﻿Community ﻿Chorus ﻿is ﻿an ﻿independent, ﻿non-profit ﻿501(c)(3) ﻿charitable ﻿organization. ﻿Copyright ﻿© ﻿2017 ﻿by ﻿the ﻿Giles ﻿County ﻿Community ﻿Chorus. ﻿All ﻿rights ﻿reserved.